2005 Jaguar X Type. Ford Jaguar X400 Exhaust Manifold Heat Shield. 4S7Q9448EB. 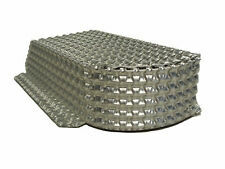 Nimbus GII is a revolutionaryheat shield material. Its double layer of aluminium structure gives a highly efficient thermal barrier coupled with effective acoustic damping characteristics. Benefits of Nimbus GII. 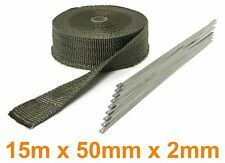 1 x 1m Length Of Exhaust Heat Wrap. Thickness - 2mm. Colour - Blue. 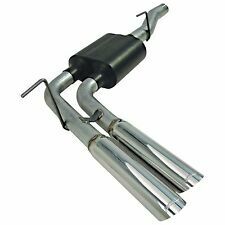 One Thing That Is Commonly Overlooked Is The Matter Of Heat Retention In The Exhaust System. 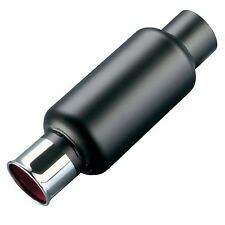 In The System And Higher Efficiency Thus Improving Gas Flow And An Increase In Power. 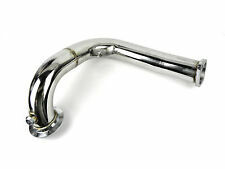 Ideal for AN-6 braided fuel hose or similar piping that has an OD of upto 15.5mm. When running oil, fuel or coolant lines close to intense sources of heat it is vital that the hose is protected against rising temperatures which may cause series degradation to the hose, or worst case a fire hazard. 50mm x 20M He a t Clea ne d E x ha us t W ra p. T h e r m a l Ve lo cit y h e a t clean e d w r a p is f u r t h e r t r eat e d ins pe cia l te x t ile o v en st o r e d u ce t h e l e v e l o f v o lat ile s a n dt o in cre a se w ea v e stab ilit y. 50mm x 30M He a t Clea ne d E x ha us t W ra p. T h e r m a l Ve lo cit y h e a t clean e d w r a p is f u r t h e r t r eat e d ins pe cia l te x t ile o v en st o r e d u ce t h e l e v e l o f v o lat ile s a n dt o in cre a se w ea v e stab ilit y.
Mishimoto products are a high quality manufactured item. We will re list the item after satisfying your order. Mishimoto Heat Defense Tape can be used to reflect heat and protect sensitive engine components from high engine temperatures. 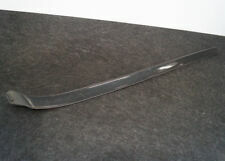 Part removed from: BMW 5' E60, 525i, Saloon, M54, EUR Right hand drive N. 5' E61 (10/2002 — 02/2007). 5' E61 LCI (11/2005 — 05/2010). 5' E60 (12/2001 — 02/2007). 5' E60 LCI (11/2005 — 12/2009). Made from crushed volcanic rock, Heatshield Products Lava Shield™ has heatshielding capabilities with a carbon-fiber look. Lava Shield™ may be used on a firewall to shield radiant heat, and is also perfect to shield heat in transmission tunnels. Magmawrap® Exhaust Wrap. 50mm x 30M - Carbon Fibre Effect Colour. · No need to "wet" wrap to install due to special twill construction and smooth nature of the fibres. The wrap has been woven in a special twill construction to ensure the wrap moves freely with the contours of exhaust pipes. Magmawrap® Exhaust Wrap. 50mm x 20M - Carbon Fibre Effect Colour. · No need to "wet" wrap to install due to special twill construction and smooth nature of the fibres. The wrap has been woven in a special twill construction to ensure the wrap moves freely with the contours of exhaust pipes. For Sale is a heat shield for the centre section of the exhaust.. Removed from a 2017 ASTON MARTIN DB11 5204cc Petrol 2 Door Coupe. Please see item description for more information, you will receive everything you see in the images. 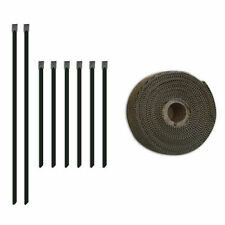 10m Titanium Car Motorcycle Exhaust Manifold Downpipe Heat Wrap Roll 10pcs Stainless Cable Ties. 10m Titanium Car Motorcycle Exhaust Heart Wrap Roll 10pcs Stainless Cable Ties. Material: Titanium fibers. 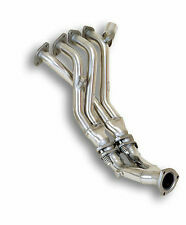 Mishimoto products are a high quality manufactured item. We will re list the item after satisfying your order. Mishimoto Exhaust Heat Wrap will help reduce engine bay temperatures with its thermal protection. MAGMA CARBON FIBRE LOOK EXHAUST MANIFOLD HEAT SHIELD WRAP. and is designed to be 25% stronger than standard E glass exhaust wrap. The specialist weave construction ensures the best thermal coverage as well as a smooth carbon fibre look. 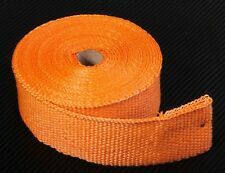 1 x 10m Roll Of Exhaust Heat Wrap. 3mm - Thickness. Blue - Colour. In The System And Higher Efficiency Improving Gas Flow And An Increase In Performance. 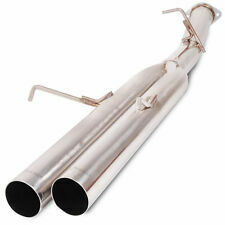 One Thing That Is Commonly Overlooked Is The Matter Of Heat Retention In The Exhaust System.